Have You Been Discriminated Against? 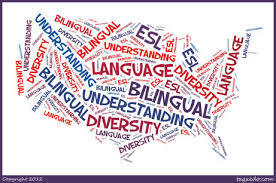 ADC works with a diverse group of civil rights organizations and allies in Congress to help to secure protections for English language learners and minority communities. The Every Student Succeeds Act must be enforced in its entirety to truly defend the right of all children to a high quality education. ADC worked tirelessly with Congressional members and education stakeholders in 2015 for inclusion of English Language Learners in Title I accountability in reauthorization of the Elementary and Secondary Education Act – Every Student Succeeds Act. ADC continues to work on implementation and ensuring participation in the regulatory process with the U.S. Department of Education, and has submitted both written and oral testimony on regulation implementation. Oversight is necessary for accountability and reporting is necessary for adequate intervention. We must know where our students needs help to allocate resources appropriately, including students progress on English language proficiency. There must be mechanism to curb misuse of discipline, and meaningful engagement and input from parents at all levels of school planning. 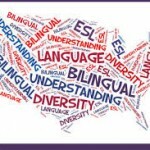 Language access as a right of parents is essential. All education related documents are must be provided to parents in a language they understand, and parents must be inconspicuously notified of this right. All vital education documents and student assessments must be readily accessible in Arabic. © 2019 ADC. All rights reserved. ADC is not responsible for the content of external internet sites.